I enjoyed a variation of Tex-Mex Migas on a recent trip and this was my re-creation. If you have leftover salsa or black beans, they would also be a great topping. I used leftover tostada shells, but you could use broken taco shells or tortilla chips just as easily. Great way to jazz up eggs for breakfast and fairly quick. Serves 4, Cost per serving $.53 Ingredients 4 Tostada shells - broken just fine 8 eggs 1 avocado, diced or sliced (opt.) 2 T. chopped fresh cilantro (opt.) 1/2 c. sour cream 1 T. Sriracha Sauce (new at ALDI) Optional Toppings: black Beans, shredded cheese, pico, onions, peppers, tomatoes, etc. Aldi-why you gotta break my heart? I went to ALDI Thursday and was in hopes of catching the fresh turkeys for $.99/lb. To my great disappointment I was told they sold out of fresh turkeys in 5 hours! I had to resort to finding another store that had frozen turkeys at $.79/lb (Applemarket for my NE KS friends). So congrats to all you that scored of that fresh turkey deal. Let's hope my frozen one turns out as well. Butter price back down! $2.29/lb - yippee! Aldi-Only Challenge Week 11: $70.88 - And they have Coconut Oil! 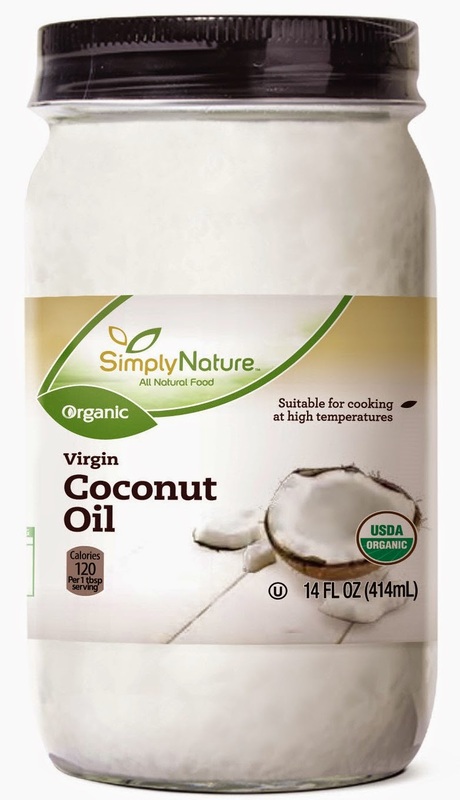 I think someone at ALDI may actually be reading my blog because Organic Coconut Oil showed up on the shelf! I haven't seen it in an ad or online, but all of a sudden there it was, so I will believe it was all my doing (note sarcasm). $4.99 for 14 oz. makes it $.36 an ounce. This is much cheaper than you will find it at most stores, but doesn't beat the Sam's Club price at $.30 an ounce. I enjoy baking with coconut oil as an alternative to canola oil or butter. It does have a coconut flavor to it, so I make sure what I am cooking or baking would be complimented by the flavor.